The Italian Navy selected the CAMCOPTER® S-100 UAS (Unmanned Air System) to provide support for its fleet, making it the first European Navy that has S-100 in operational use. The CAMCOPTER® S-100 was the first UAS ever to fly from an Italian Navy ship, the ITS Bersagliere a Soldati Class frigate, in April 2012. 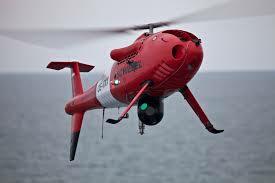 The unmanned helicopter will provide its increased operational ability to Italian Navy Commanders once again. The signed contract includes a system, training, integration and spare parts.